More than 500,000 people in the U.S. experience homeless on any given night — poverty, racial disparity and the opioid crisis are among the main causes. But with many shelters only providing a brief roof over their heads, many are left in desperate need. 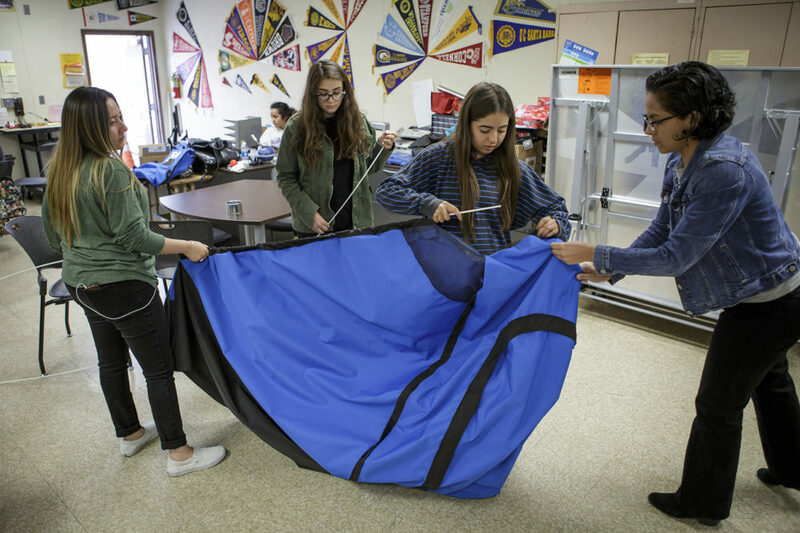 A group of girls at San Fernando High School in Los Angeles wants to change that. 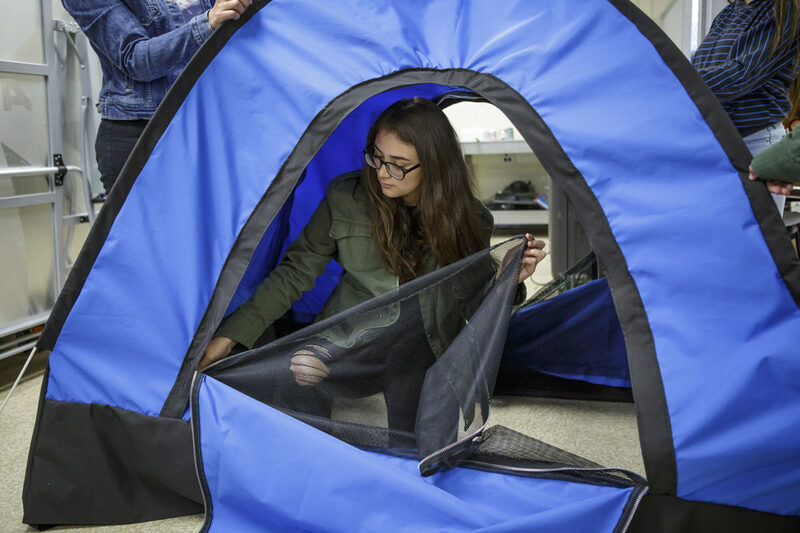 Twelve students there teamed up with DIY Girls, an organization supporting girls in science, technology, engineering and math, or STEM, to create solar-powered tents for the homeless that can fold into a backpack for easy travel. The project forced the students to learn how to code, solder — and sew. "[There was] a lot of Googling," says Daniela Orozco, who was a senior at San Fernando when the project began. Over the course of four years, Orozco tells Here & Now's Robin Young she saw how homelessness in the area had gotten worse. "When I first started high school, there would probably be like one homeless person living under the freeway by our school, whereas in our senior year, there were multiple tents," says Orozco, who herself grew up in a low-income family and is now a sophomore at Stanford University studying mechanical engineering. "Homelessness was definitely something that was close to our own hearts." Evelyn Gomez, former executive and program director for DIY Girls who now serves as a board member, graduated from San Fernando in 2006 and went on to study engineering at MIT and UCLA. When she heard about efforts at her alma mater to help girls learn about STEM, she knew she wanted to pitch in. "I really wanted the girls to have this empowering experience where their voices and their skills could be put to help people," Gomez says. "Actually I went back to my high school calculus teacher and I asked her if she could help me put a team together, and I was able to do a hands-on project with the girls and really tell them about the possibility of inventing something that no one has ever thought of before, nobody has ever seen before." Daniela Orozco: "The tent itself, when we were designing it, we wanted to make sure that it was easily portable and lightweight, along with being able to have the solar panel box. So on the box itself there are solar panels, and that solar panel is connected to an Arduino board, and that Arduino board was coded such that when a button was pressed, you can turn on the LED lights and the UVC lights to disinfect the inside of the tent. The solar panel itself is connected to a battery pack on the inside of the box." "Our main goal is to get it patented. But we wanted to make sure that it gets in the right hands and it's properly distributed to the homeless." Evelyn Gomez: "We want this to be used for good intentions. It is capable of helping refugees that are displaced from their homes. It has the potential to help a lot of different people." Gomez: "I know in my own education, through undergraduate and graduate school, I was often the only Hispanic person in the room. And it makes a big difference and a big impression to somebody to see somebody that looks like you, a role model in front of you, that has done something that's hard, like engineering. I think it allows you to see yourself in that position. "I think it really places a big burden on your shoulders: I'm not just representing myself, I'm representing my people, I'm representing my community, and if I say something that maybe ... doesn't make sense, then that's going to reflect poorly on them. That's the beauty of having an all-girl team and having the beauty of working within our own community: We have no one else to turn to for answers. We need to come up with the answers ourselves. It's very empowering." 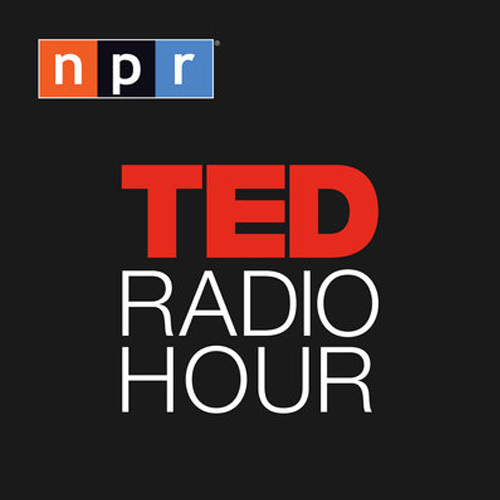 Orozco: "It was very inspiring, and realizing that someone from my community was able to do it makes me push myself and be like, 'OK, Evelyn did it. You can do it, too,' or, 'Many of the other mentors we had did it. I can do it, too.' 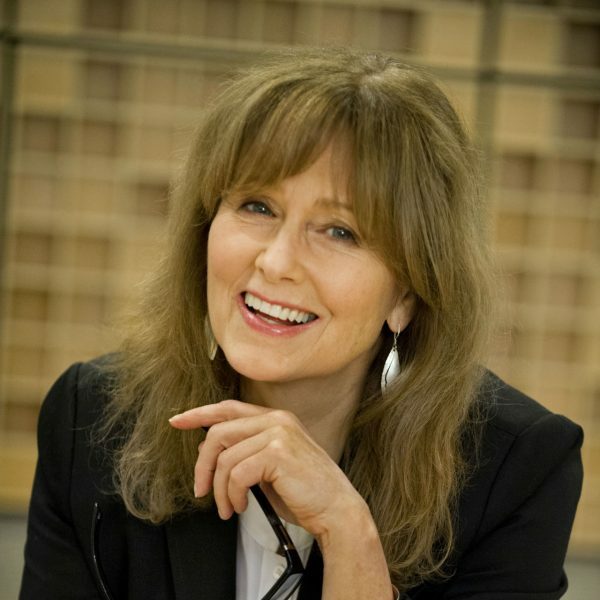 "
Marcelle Hutchins produced this interview and edited it for broadcast with Peter O'Dowd. Jack Mitchell adapted it for the web.